For investors, the property market is one that has gained notoriety for being so unpredictable. As house prices regularly rise and fall, there are a number of factors that affect the number of properties available to buy, the number of development projects to back, the type of properties and the location of the properties to invest in. One such factor is the Empty Homes Crisis which is currently gaining a lot of attention especially in Britain. In the run up to Winter, there are many homeless that will be forced to remain without a roof. Shocking research also found that in the last year at least 440 homeless people died on the streets in Britain. As people try to fathom how these deaths can have occurred and what we can do to fix them, the question on many lips is “Can we not just move homeless into empty homes?” However, just because a property is vacant, that doesn’t mean it’s not owned. It can be argued that from a moral standpoint, there true culprit causing the crisis is the British councils that are failing to fill social housing with those who need accommodation. It is estimated that 45,632 council houses in England are empty which equates to around 8% of all of the empty properties. Though empty homes may not be considered a good thing from a social aspect as so many struggle to find homes, from an investment perspective, the number of empty homes outside of London could present investors with opportunities as properties will likely be cheaper than usual. Some property investors buy a property and find that if they were to let it the cost of repairs would be higher than their return. But, many other property moguls may buy an expensive property in London and then keep it vacant for years before selling it once the value has increased. Released shortly after Empty Homes Week, new research from Good Move reveals the number of empty homes in Britain with astonishing results – there are more than 600,000 vacant homes in England alone. Good Move’s research also explores regions and cities to highlight problem areas. 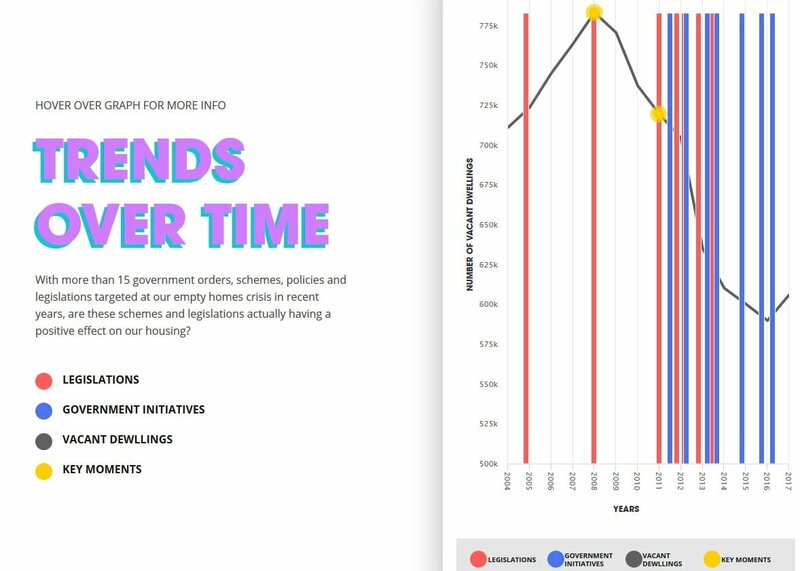 The research also compares trends over time and assesses the various legislation and initiatives brought in by UK governments to see if they are actually having a positive effect on the housing crisis. New study has found that 605,891 homes were unoccupied last year. Liverpool has the biggest problem with vacant homes, with over 10,000 homes remaining empty in 2017. A third of empty homes throughout the country are empty for longer than six months. The city of Liverpool takes the crown for the most vacant properties, with a staggering 10,512 properties laying empty last year. The data comes despite efforts by Liverpool City Council to reduce the amount of vacant homes with a free matchmaking service to introduce buyers and sellers of empty homes, in a bid to bring more empty homes into use. Birmingham follows closely behind, with 10,386 empty homes. The city famous for its Bullring accounts for 17% of West Midlands’ total number of vacant homes. The North West has the most vacant properties, with 102,847 homes laying empty across the region, and 38% of those being vacant for longer than six months. Liverpool has the most empty homes in the North West, and the country as a whole, with 10,512 vacant properties in 2017. Following closely behind the North West is the South East, with a staggering 86,693 vacant properties last year. Of the 86,000 empty homes, 29% of those are vacant for longer than six months.